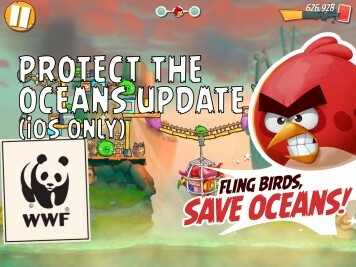 From now until April 24, WWF will receive 100% of the proceeds from your purchase of the WWF Pack in the shop. A MASSIVE Angry Birds 2 update is now available for iOS and Android. It adds a new chapter (Mount Evernest), overhauled scoring system, new PvP arena, rewards & surprise boxes ... and much more! 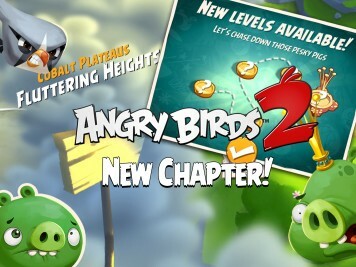 Angry Birds 2 Update Adds a New Chapter – Fluttering Heights! 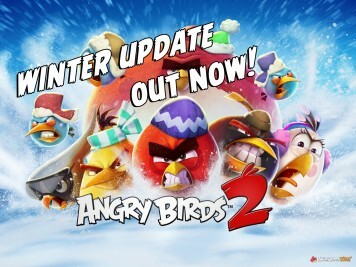 Angry Birds 2 update (version 2.3.0) is now available for iOS and Android. Take a stroll through 20 new Cobalt Plateau levels and defeat Chemist Pig in "Fluttering Heights"! 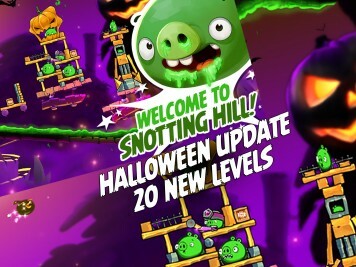 Angry Birds 2 Halloween Update – Welcome to Snotting Hill! Boo! 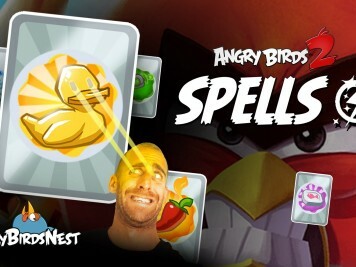 A Halloween themed Angry Birds 2 update it now available for iOS and Android. Welcome to Snotting Hill. We recommend wearing shoes. 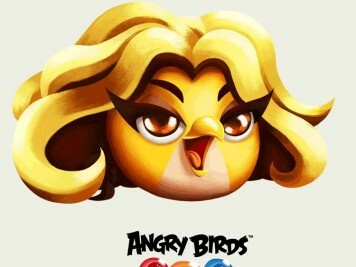 More to Come from Shakira Bird in Angry Birds! Shakira Bird's time with Angry Birds Stella Pop may be over, but there's more of this Columbian song bird coming. Read on to see where she will pop up next. 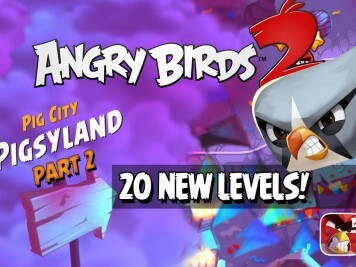 Angry Birds 2 received it's second content based update (v2.1.1) adding the final levels to Pigsyland - "Pig City's first amusement park!". 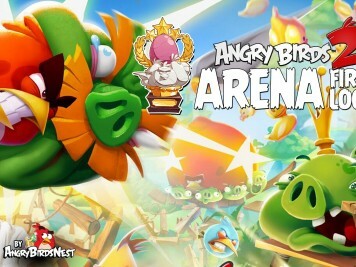 Angry Birds 2 Update Adds Pigsyland – Out Now! 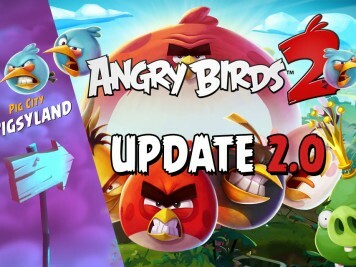 Angry Birds 2 got it's first content based update (v2.1.0)! The "Pigsyland" update includes 20 new levels of bouncing bumper chaos! 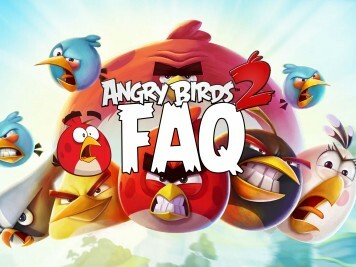 The Angry Birds 2 FAQ is here! We've scoured the forums, scraped the comments, and combed Rovio's Twitter feed to bring you a comprehensive list of the most common Angry Birds 2 questions. 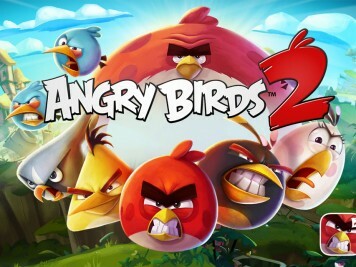 Angry Birds 2 – The Official Sequel to Angry Birds – Out Now Worldwide!